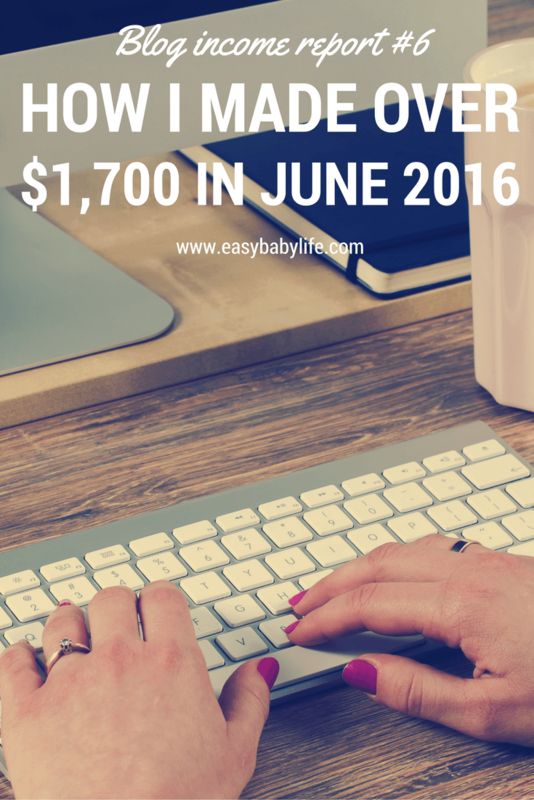 June 2016 is my sixth blog income report. I decided in January 2016 to focus more (i.e. 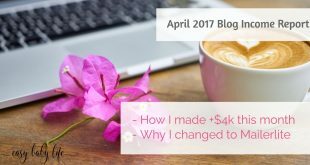 at all) on what I earn from my blogging. 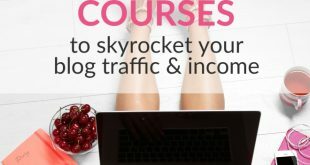 You’ll find earlier blog income reports here. June 2016 is an official summer month (Yes!) and with that comes great weather and not-so-great website traffic numbers. It happens every year that people are more out and about than visiting my blog. It is ok. I’ve continued writing – I really LOVE blogging – and I’ve tried to do something about my extremely poor social media presence. I can’t understand why I’ve so stupid. Especially since it is so much fun to connect! I have started to really love Pinterest! This is also my first full month of letting Mediavine handle all my banner ads. This is slightly up compared to last month due to the somewhat higher income. Still so very much better than in January 2016!! Let’s have a look at traffic numbers and finally RPM for the month. Here are some screenshots from Google Analytics to show my traffic for June 2016. Page views fell about 10% to 300,734. As I said, expected but annoying. 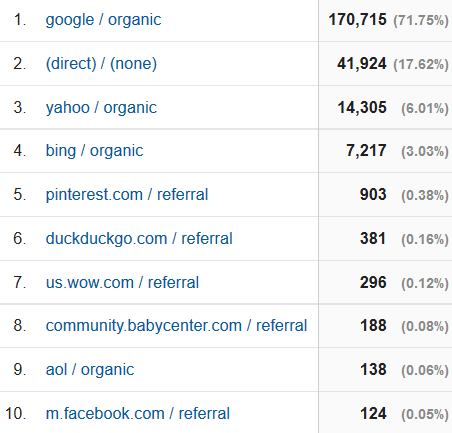 Traffic sources are, as usual, mainly Google. 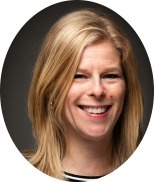 I hope with me getting my head straight on social media, I will gain other traffic sources over time. Pinterest traffic actually went DOWN this month by 10%. Hmm, I probably really need Boardbooster – or not! Maybe I need something else. I’ll figure it out! May RPM was only $4.78, so that’s at least a small jump, don’t you think? By the way, another FREE resource that I’ve started to use and really love is Grammarly. It makes proof-reading so quick and easy and I have actually started to go through all my old posts too with Grammarly. (Yikes, spelling mistakes everywhere!) If you are not familiar with Grammarly, I just wrote a post about how to use it the best way here. 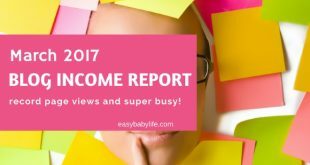 Find all my blogging tips and income reports here.